Green beans - low calorie product, but it is very useful. To enjoy it all year round, you can freeze the asparagus in several ways. Green beans (asparagus) is a useful, yet low-calorie product. It contains fiber, minerals and vitamins necessary for the human body. Asparagus added to salads, cooked her soups and main dishes. 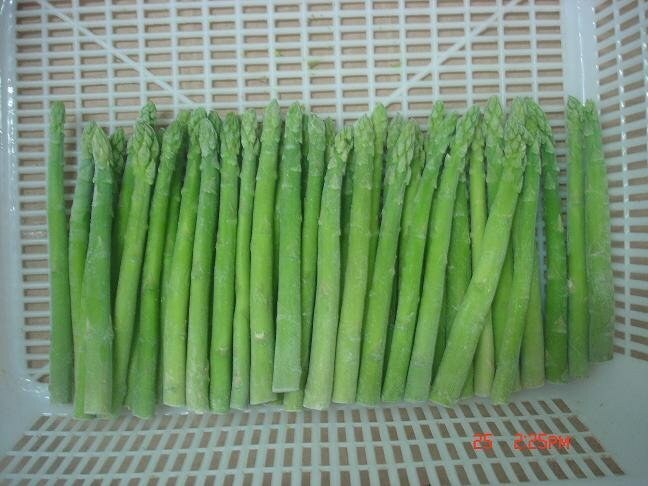 As a rule, asparagus contains more vitamins, if it grew on your land or was bought from the farmers. What is sold in supermarkets is of little value to the body, so in the season of string beans, make preparations for the winter. In both cases, you need to properly handle the pods, so they do not stick to each other and had the desired length. To start the procedure with the processing of the pods. Each stem should be cut from the stalk and the tip. Make it so that, after defrosting the asparagus did not spoil the finished dish, because by themselves they are very tough. After that, the pods are washed in plenty of water and let them dry. You can put the asparagus in a colander, but it is best to put it on a towel or special kitchen towels. After the beans are completely dry, then cut into portions. Usually in salads and main dishes are enough slices 1.5–2 cm. It should be noted that long the pods take up more space in the fridge. Then spread the asparagus in a pre-prepared plastic bags, of which clean the air. You can also store it in plastic containers. The green beans are cut according to taste, boiled in salted water for 5 minutes. Then recline in a colander and allow it to cool completely and to dry. To avoid gluing the stems, dry the asparagus is best on the towel. After the beans dry and cool, you need to prepare the container for freezing. It can be special bags or containers. Next, you should shift the prepared asparagus in the container and put into the freezer. Each method of freezing have been good, and every owner understands how best to choose. However, it should be noted that green beans are the most sticks at the peak of its maturation. If the stems become overripe, they will have little vitamins and minerals. In addition, the asparagus will be very hard.